“I will make a prophecy that may now sound peculiar,” abolitionist, diplomat, and Union officer Carl Schurz wrote to a friend October 12, 1864. “In fifty years Lincoln’s name will be inscribed close to Washington’s on this Republic’s roll of honor.” At the time it was written, Schurz’s prophecy would have seemed far-fetched to many in the northern United States—quite probably including Abraham Lincoln. After three bloody years, the nation was still at war with itself, and the end was not yet in sight. Although William T. Sherman’s Union armies were making some progress in the Western Theater (Atlanta had fallen September 2), the Union’s powerful Eastern Theater force, the Army of the Potomac, which had suffered terrible losses during Ulysses S. Grant’s Overland Campaign in the spring, was then engaged in a lengthening siege of Petersburg, Virginia. The incorporation of African American regiments into the Union army that had begun in late 1862 and the Emancipation Proclamation that Lincoln had issued January 1, 1863, remained ragingly controversial. A presidential election was looming, and it was by no means a foregone conclusion that Lincoln would win. Today, we salute Schurz’s prescience. The name of the sixteenth president of the United States is not only inscribed close to that of George Washington, first president and “father” of the nation; it often appears ahead of Washington’s in scholarly and popular opinion polls of the nation’s greatest chief executives. Lincoln’s poetic eloquence, his grace under the most terrible pressures, his patience and firm persistence, his battles with melancholy, and his rippling good humor continue to inspire and fascinate the people of the United States and many others around the globe. 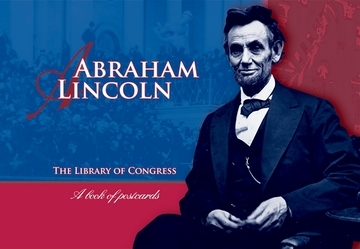 This book of postcards presents thirty images drawn from the collections of the Library of Congress, which include Lincoln’s presidential papers and other Lincolniana, Civil War-era newspapers and other publications abounding in Lincoln stories and images, thousands of books about the sixteenth president, and many prints and photographs of Abraham Lincoln, from his days as a congressman to photographs taken just before his death. 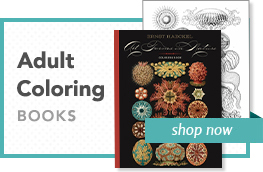 Easy to remove and produced on heavy card stock, these stunning postcards are a delight to the sender and receiver. Postcards are oversized and may require additional postage.